A Science Slam is a science communication format where young scientists explain their research projects in short 5-minute-talks that are easy to follow and afterwards the audience gets to vote. The important thing is not primarily the scientific outcome of their work, but to explain it in an understandable, entertaining and concise way. 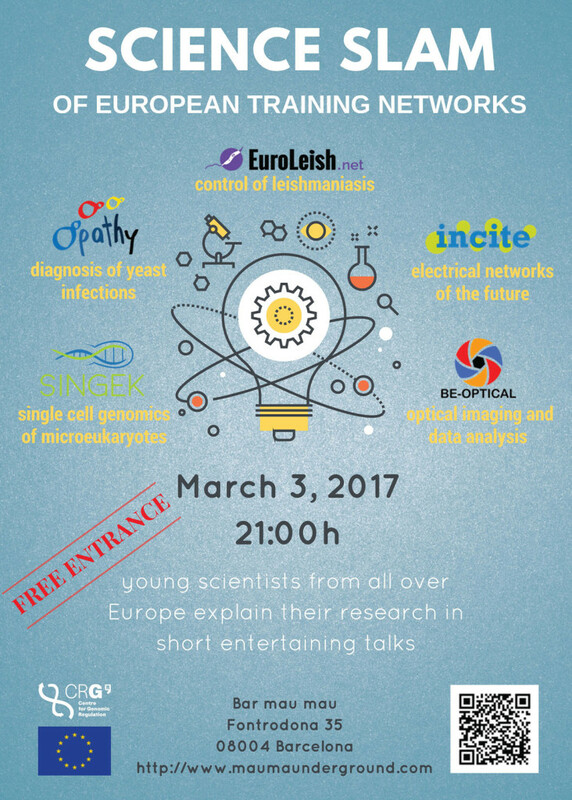 The BCN Science Slam, an outreach activity, will be the final event of a science communication workshop for PhD students from 6 different ITNs organized by Opathy ITN. Join us at Bar Mau Mau on 3rd March 2017 at 21h!